I Choose You! 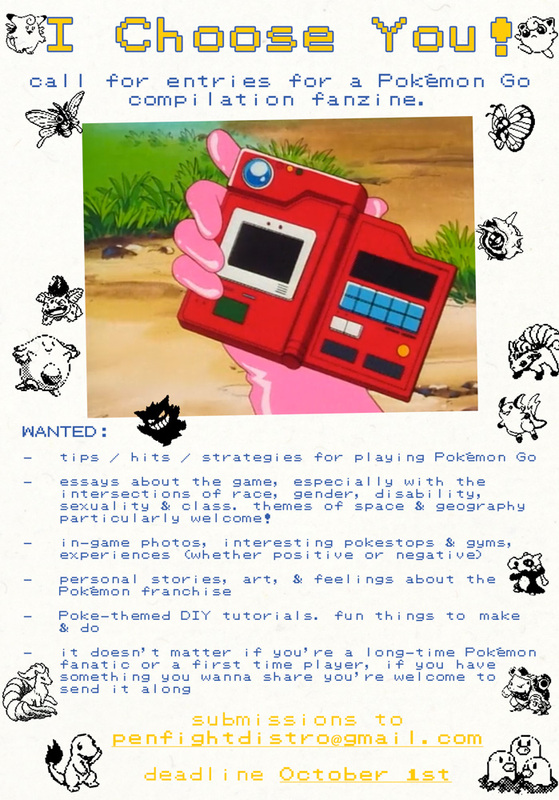 – call for entries for a Pokemon Go compilation fanzine. – essays about the game, especially with the intersections of race, gender, disability, sexuality & class. themes of space & geography particularly welcome!